Sea Thrift Armeria maritima on the Mediterranean. 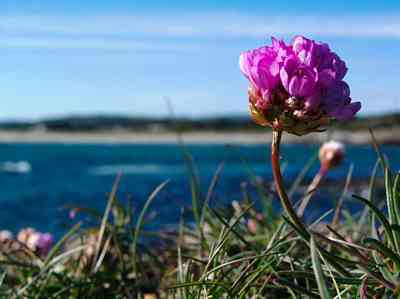 Armeria maritima, better known as Sea Thrift or Sea Pink. 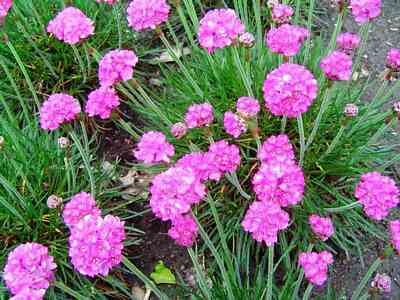 One of the first garden plants I fell in love with was Armeria maritima, better known as Sea Thrift or Sea Pink. You may know these plants from home – they can be found covering hillsides and cliffs in the west of England, where they withstand salt-laden winds, but they also do well in hot, humid coastal areas like ours. 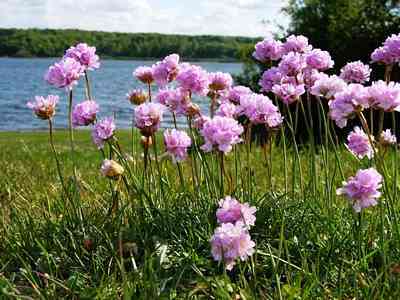 Sea thrift is a popular garden flower and the plant has been distributed worldwide as a garden and cut flower. It was like meeting an old friend when I saw a large selection of these plants at the local garden center. 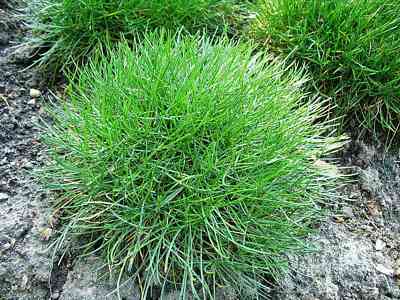 These strange mounds of grass-like foliage produce little crystal buds that explode into charming puffs of pink. In the wild, flowers are usually pale pink, but brighter pinks and white are available as cultivated plants. 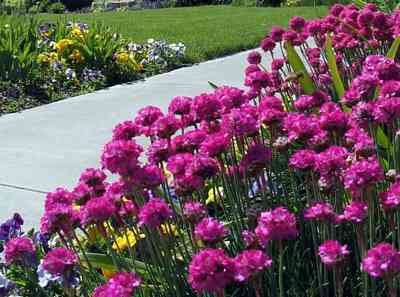 As the common names indicate, sea thrift has a fondness for sunny, salty environments, but is also at home in mountain areas. They can be found in coastal areas and mountain regions of Europe, Turkey, North Africa and the western coast of North and South America. 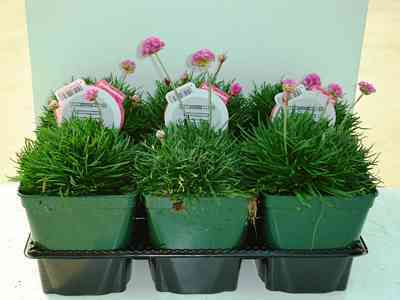 Sea thrift is a low maintenance, drought tolerant, short lived perennial that forms a 6-12″ (15-30 cm) dense clump of grass-like foliage with pink flowers rising on stalks in mid spring. Kept deadheaded, flowering will continue throughout much of the summer. 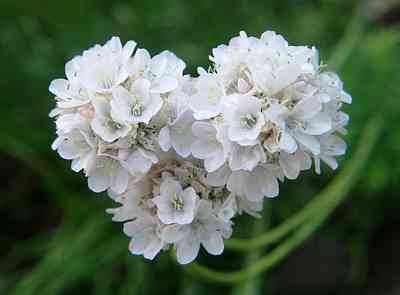 The rounded flower heads are composed of lots of tiny flowers – each of the small flowers later becoming a seed. After about four years the center of the plant dies, leaving an ugly brown patch. When that happens, it is time to dig up and divide the plant which is quite easy to do. Re-plant one of the divisions in the spot where you dug out the original and plant the others elsewhere or give them to friends. Sea thrift thrives in dry, infertile soils where few other plants can compete. Well-drained sandy or loamy soil is best for this species. The plants will rot if planted in fertile, moist soils or in heavy clay. They need full sun for most of the day, but will not mind a bit of shade during the hottest hours. Regular watering is appreciated during the heat of summer, although dryer conditions are fine for cooler times of the year. Feed only once a year with slow-release fertilizer. If given their requirements of lean, dry, well-drained soil and lots of sun, these drought tolerant plants require little maintenance. They have no serious insect or disease problems. This plant is a rock garden favourite, with its tidy mound of grassy foliage and profusion of rose-pink spherical flowers. Plant it where someone will not mistake it for grass while it is not flowering and pull it out. A great low plant for the front of the border, rock gardens, edgings, or massed together. They also look great between rocks on top of a wall with the flowers cascading down. The low, evergreen tuft is a great textural accent to the garden even after blooming. The flowers dry easily. 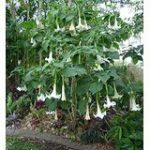 Cut them when they are in full bloom and hang them upside down in a dry, dark place with good air circulation. By dividing the rootball or from seed. 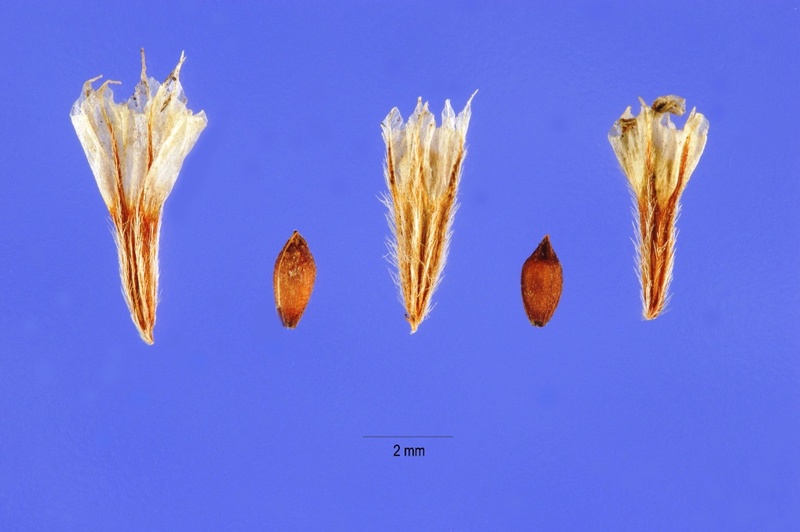 The seeds are small pale brown drops. There are many seeds on a seedhead. Soaking Armeria seeds in warm water for 6-8 hours before sowing aids germination. Sea thrift seeds can be sown in the garden during late spring and summer months, up until two months before the first frost. Seeds that are started indoors, in early spring and kept at 60-70° F (15-21° C) will germinate in two to three weeks and bloom the first year. The British threepence coin issued between 1937 and 1952 had a design of thrift on the reverse. 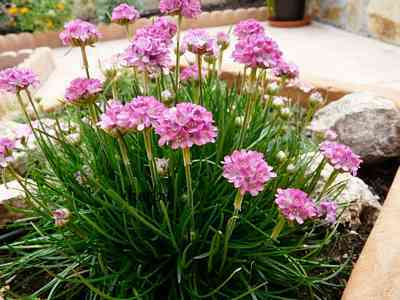 Sea thrift is a low maintenance, drought tolerant, short lived perennial that forms a 6-12 (15-30 cm) dense clump of grass-like foliage with pink flowers rising on stalks in mid spring.